Most of us, if not all of us, have already made use of some kind of ‘cloud’ service, and some have probably used a cloud service without even realising it. Whether it be Netflix, iCloud, office365, or Dropbox; cloud services are becoming more and more a part of everyday life. 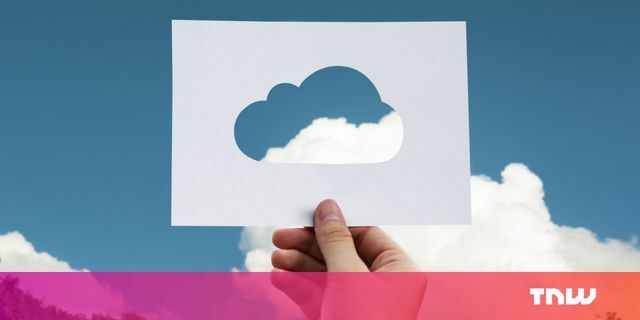 Most businesses I have spoken to have heard of the ‘cloud’ and a good few have already made the move, but what does the cloud actually mean, and what does it look like? For the average business, ‘moving to the cloud’ simply means taking their onsite servers – whether that be mail servers, file storage, databases, or accounts – and moving them to a much larger server somewhere else in the world with someone else looking after and maintaining them. You then access these files and services over an internet connection when you need them. So why bother? It’s important to realise that moving to the cloud is an ‘option’ and certainly not fit for everyone. It’s also important to remember that your company data is ‘valuable’ and as such must be treated as any other item of value. With the new GDPR rules coming into force in May this year, there will also be significant fines for not keeping this data safe. Security – these data centres can reach military-grade security levels, meaning that your data is secured safely and securely and the risk of having your systems ‘hacked’ is typically much less than your onsite servers. How often to you update passwords and firewalls to make sure people can’t access your servers remotely? How secure would your onsite server be if you had a fire, or a flood? The location and security of your cloud hosting provider is something to consider also. Cost – onsite servers require an upfront cost with ongoing maintenance, just to keep them running. An average server can use anywhere from 500W-1.2Kw, which has an energy cost to run. Not to mention replacement costs and the space these services can take up. Further details on this can be found in my ‘Flip the Iceberg’ article. Disaster recovery – if there was a disaster, how quickly would your business be back up and running? Even if you do have these services backed up, how quickly could you get this data into a format that allowed you to be ‘working’ again? Cloud services can be accessed anywhere you have an internet connection. Which solution is right for you is certainly worth a discussion with your IT manager, or your IT company. This article highlights 12 key steps to consider. One step that isn't mentioned is making sure you have the right connection to these off-site data centres so that your business can run smoothly, without interruption. This has always been postcode lottery and we can advise on the connections available at your location(s) before having the discussion with your IT company as to whether its worth exploring. The cloud is the quintessential way to do business in 2018. It allows you complete access to your data faster, easier and more effectively. Adding the cloud to your operations also means you are able to do more with less downtime, cost and loss. But, integrating the technology into your business takes some effort and coordination. When will I be able to get full fibre broadband?